A person can survive without food for two to three weeks, up to one month, without water for about a week, but without oxygen for only three to ten minutes. Oxygen is the main source of energy for the operation of brain and all organs. In humans, oxygen absorption occurs in lungs and by blood it's transmitted to the rest of the body. We distinguish external breathing through which oxygen and carbon dioxide are being exchanged between atmosphere and lungs, and cellular breathing as an oxidative process that finalizes in release of energy. Without enough oxygen the cells become weak and susceptible to illness. The first simptoms of oxygen deficiency are fatigue, faintness, chills, decrease of memory and concentration, heart beating, muscle pain, paleness, dizziness and irritability, while long-term shortage of oxygen can lead to depression, heart diseases, respiratory impediments, chronic infections and even cancer. Although we usually pay little to no attention to breathing because it happens automatically, sometimes it's of no harm to be reminded and aware how vital it is for us and our life. 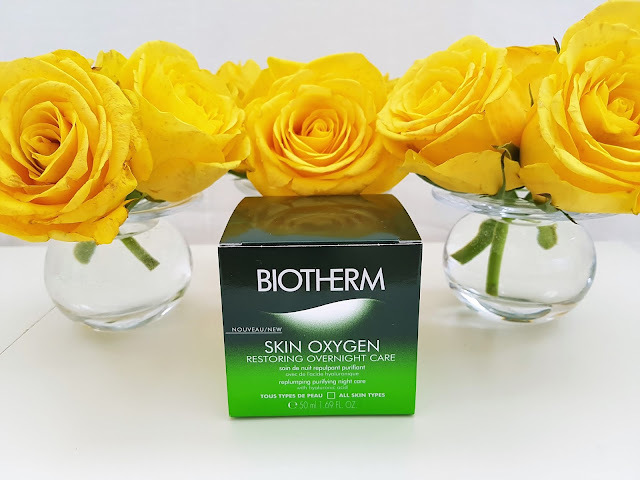 In addition to oxygen itself that works miracles within our organism, nowadays it's possible to find various products that stimulate cells to breath, and they appertain in Biotherm Skin Oxygen line. Biotherm is a French company that manufactures luxurious face and body care preparations based on concentrated formula of Pure Extract of Thermal Plankton, which as a powerful activator soothes the skin and enhances natural defense against aging. The official page states that thermal plankton is a species of microflora that appeared on Earth more than three million years ago and inhabits mountainous sulphurous springs rich in minerals. 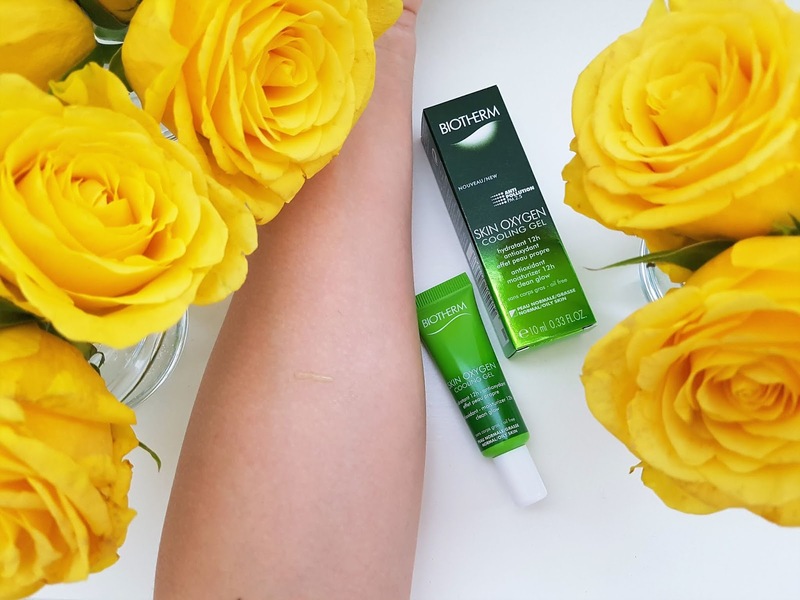 Half a century ago biologists discovered its potency and affinity toward the skin, and after twenty years of research and development they managed to isolate and reproduce the extract in concentrated form. Today it occupies a central place of Biotherm's innovation and is amalgamated in all of their cosmetic products. 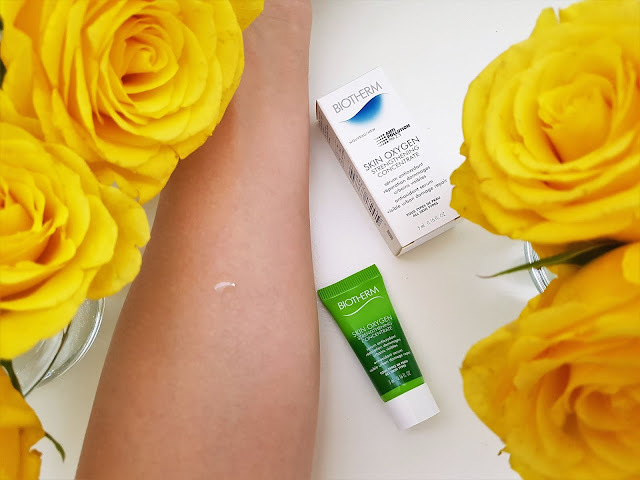 I have formerly presented Aquasource Skin Perfection day cream (review can be read here) which delighted me with its impact on my skin, and the same reaction was prompted by Skin Oxygen Restoring Overnight Care cream. It's cached in a green 50 ml jar of slightly unique shape by which Biotherm's creams are recognizable on the market. assimilate the granules. During sleep the preventive layer retains water and allows rejuvenation, but also derives gluing to the pillow. I must admit that it surprised me unexpectedly, because when I applied the cream on my face and touched it with my fingers, I didn't get that impression. It doesn't stains the bedding in any way but, since I never experienced anything similar, such peculiarity provoked me to constantly change the pillowcases. Also, the cream has a distinctive citrus scent and when you employ it you can feel it for a while, until it completely fade away. As I mentioned above, upon usage the gelly texture and tiny pearls creates protective veil that induces skin regeneration after agrressive factors to which it was exposed over the course of the day, as well as hydration, purification and increased oxygen supply throughout the night. When I wake up the skin is moisturized, fraught, lush, bright, fresh and comfortably pliant and napless. 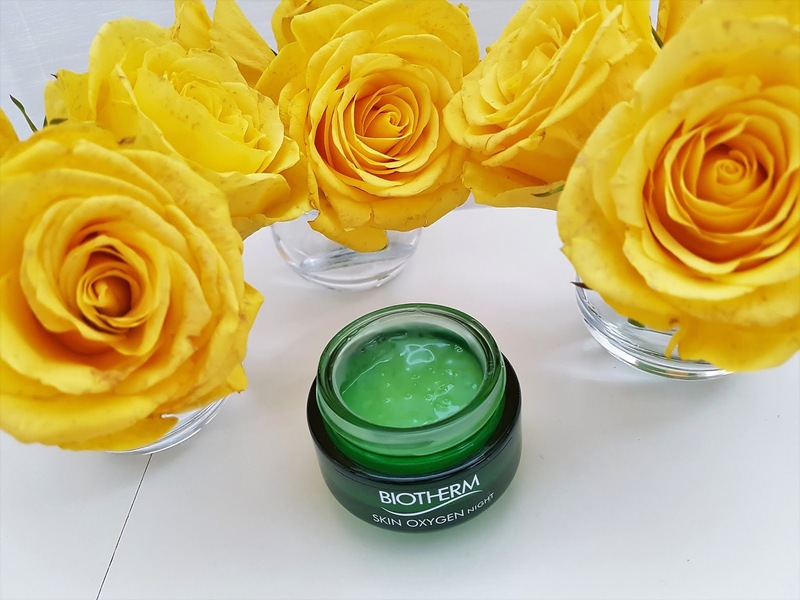 I would describe the cream as a nightly oxygen mask that ensures breathing of the skin, procures the cells with necessary amounts of oxygen, renewes and hydrates them and facilitates all the challenges of a new day. I'm majorly happy that I can obtain such products, the ones that enable accessorial oxygen reserve whenever I need it. That's why this cream is an infallible and unavoidable component of my nocturnal care routine. By purchasing the cream I received several Skin Oxygen testers as a gift. The premier is Skin Oxygen Cooling Gel preferable for normal to oily skin that enlists twelve-hour hydration and anti-oxidation and re-surfaces the pure sheen. 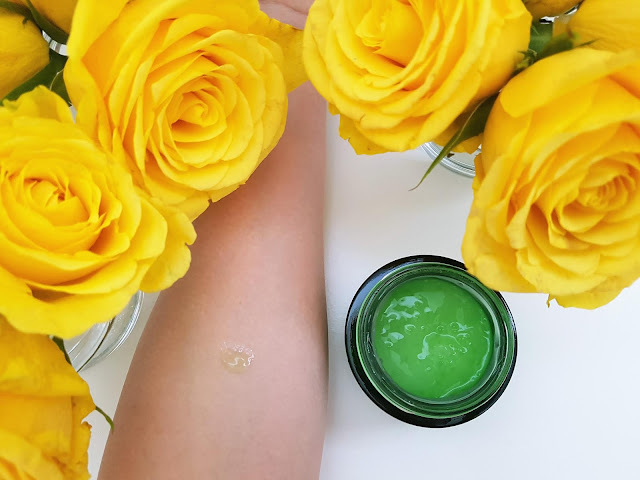 It's gelatinous, endowed with concurrent citrus fragrance and free of parabens, oils and silicones, while recommended areas of utilizing are face and neck. In contact with the skin it assumes cooling and long-lasting hydrating and anti-oxidizing sensation. Skin Oxygen Strengthening Concentrate likewise showed up in the gift bag. It is an anti-oxidant serum that repairs visible signs of external detriment and is convenient for all variables of complexion. It's desirable to use it as a foundation for the cream, each morning and evening on the face, neck and cleavage. I applied it exclusively in the late afternoon before Skin Oxygen Night Cream and largely appreciated the outcome on my skin, but I can't speak educatedly about concrete results because 5 ml quantity is not enough. Assortment of Skin Oxygen products offers a lotion suitable for all skin types, with the task of removing the debris and retrenching the pores, to say it briefly – skin perfecting. I used it after face cleansing with Foreo Luna Mini device and Clinique Liquid Facial Soap and it really makes the face plump, flamboyant and ready for serum and night cream. 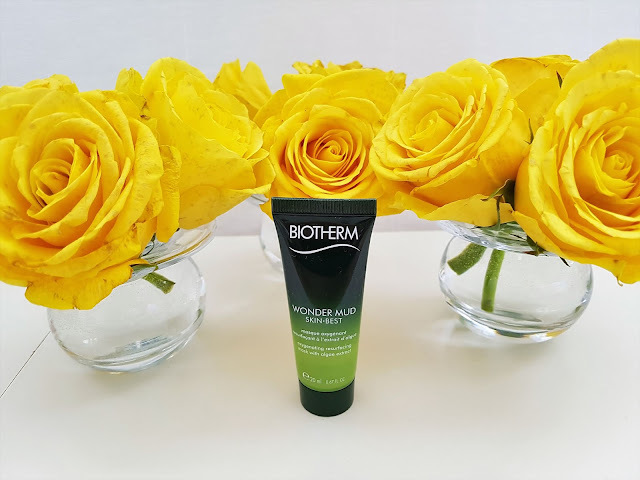 The product I was most eager to try is Biotherm Wonder Mud Skin Best facial mask, invigorated by an exceptionally robust extract of astaxanthin anti-oxidant and sweeping mineral ghassoul clay. Its goal is to fight clogged pores and impurities that are consequented by life in urban surroundings. It has identical refreshing odor as other items, creamy texture and crushed apricot stones which exercises exfoliation upon rinsing. It's advisable to utilize it twice a week and leave it for three minutes and then wash it off with circular movements, in which way you simultaneously practice massage and peeling. Wonder Mud embowers the skin with nourishment, polished evenness and gorgeous luster. 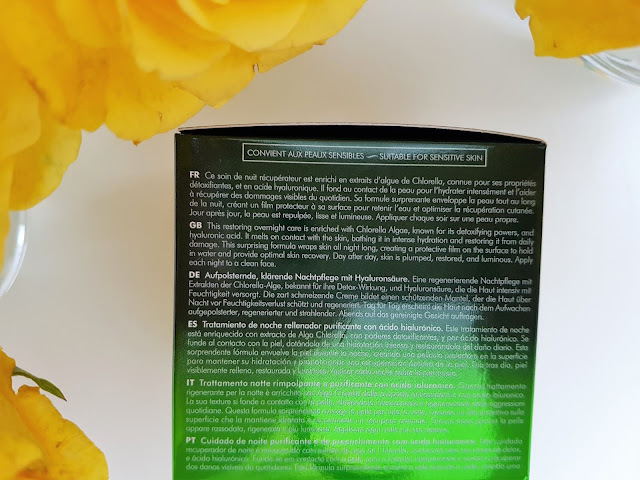 I'm widely satisfied with its effectiveness and when I deplete Caudalie Instant Detox mask I definitely plan to buy it in full size. Have you tried Skin Oxygen night cream or any product from this collection? What are your impressions? Write me in the comments. You are welcome, dear Priya. These are really great products! These products look and sound amazing! I love citrus scents so I need to try the cream. I completely agree with you. These products are great! When you try cream I would like to hear your impressions about it. Wow this product line sounds amazing! Totally makes sense about our skin needing oxygen! I completely agree with you. These products are great and bring necessary oxygen to the skin. I haven't heard of this skincare line, but that Skin Restoring Cream looks like something I need this dry winter!! If you try Skin Restoring Cream I would like to hear your impressions about it and do you like it. You are welcome, dear Janet! Thank you for such a beautiful words! They mean a lot to me. 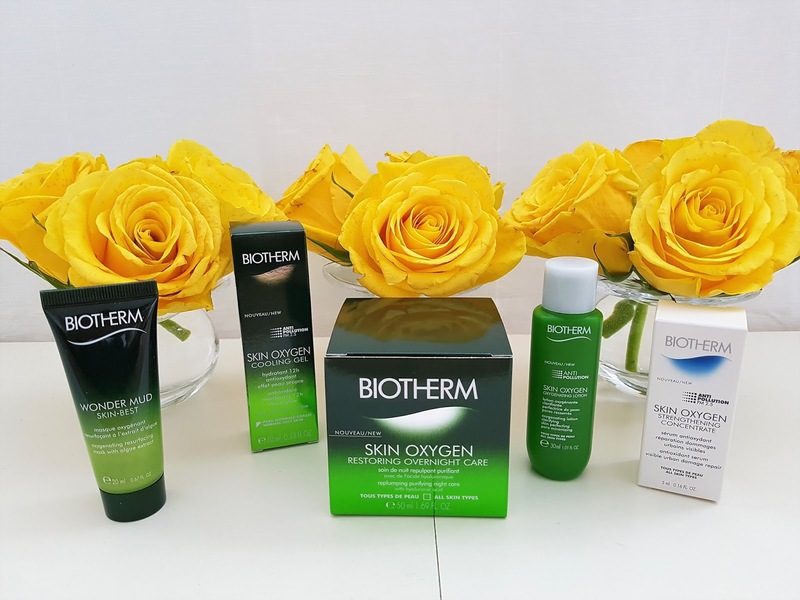 Biotherm Skin Oxygen is really great skin care line and I'm very satisfied with all of products that I used so far! These products are so cool and sounds. You are completely right, dear Niha. These products are great! This sounds very amazing! I know Biotherm but I haven't tried your products yet. It would be a fab gift idea for my bff's too! I completely agree with you, dear Simone. Set of these products is amazing gift and I believe that your best friend would love it. 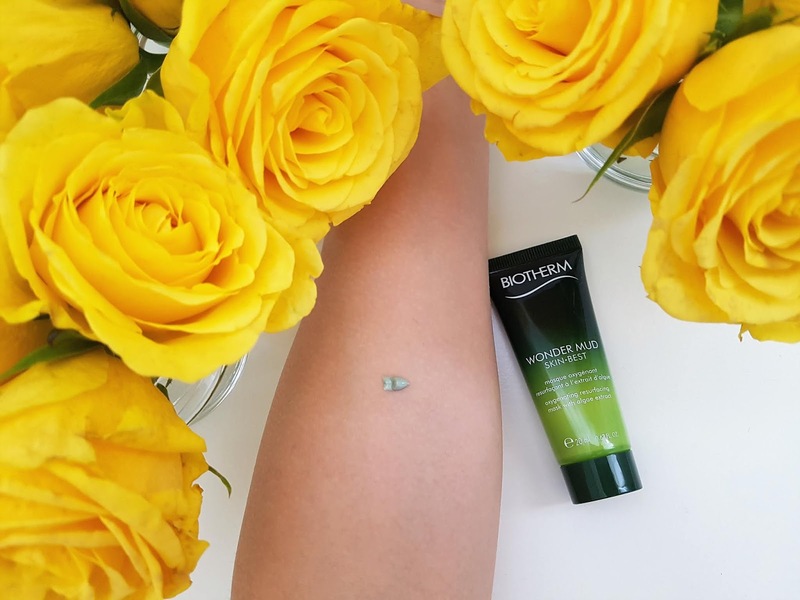 We share same love for Biotherm. I used many of their products and all of them are great for my skin! Love this brand. Interesting products to try. I'm also huge fan of Biotherm. They have amazing products which are great for my skin! These line is amazing. I really love all of products. If you try them I would like to hear your impression's about them! I'll look for it when I travel next year! These are really great products! When you try this line I would like to hear your opinion about it and do you love products as much as I do. This line sounds amazing! I need to try it! When you try this line I would like to hear your impressions about it. I really love it because all of products are great for my skin! we share same opinion about this products! I have used these creams in the past and they are great! Have a nice day. I'm happy to hear that you also used this cream and was satisfied with results, as much as I am. Loving the packaging and the look of these products. Biotherm have very beautiful and recognizable packaging of their products. I'm also huge lover of it. These products are really great. I love all of them because they left my skin nutritive, shiny and beautiful. I've been a believer in oxygen enriched skincare products ever since a friend of mine cured her psoriasis with olive oil enriched with oxygen. These products seem fantastic. I've only ever heard good things about biotherm brand. 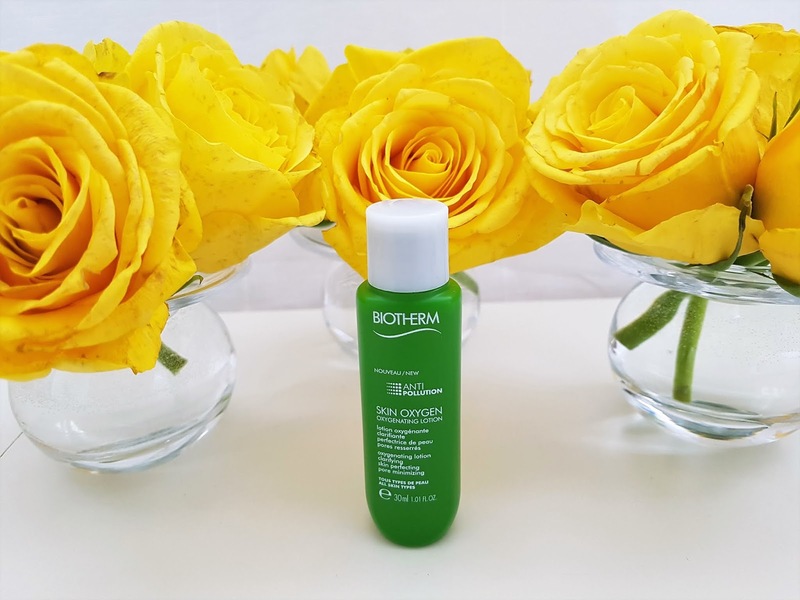 Biotherm have great products and because that fact I believe you heard only good review about them. This Skin Oxygen line is amazing. I love all of products, especially night cream and cooling gel. After I apply them, they left my skin so fresh and nourished. Que produtos maravilhosos, gostaria muito de testa-los. I'd like to use them. if you start use products from this line I would like to hear which one you pick for yourself and your opinion about them. of products!!! it's a good brand! I completely agree with you. 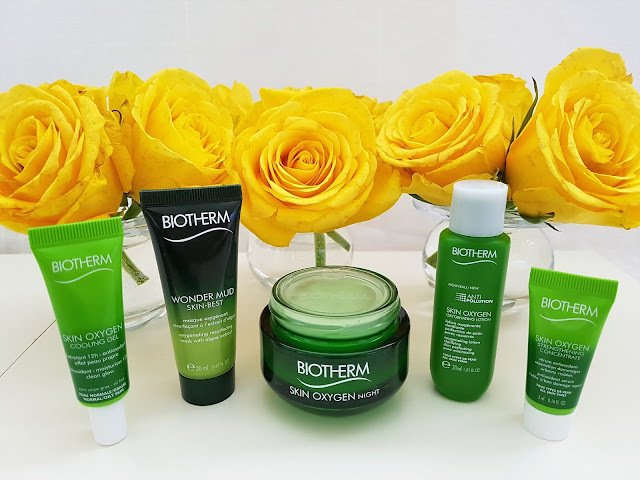 Biotherm is amazing brand with many great products! When you try Skin Oxygen line I would like to hear your impressions about it, and do you love it as much as I do. Great kit, I love this brand! we share same love for Biotherm and same opinion about this kit. It is really amazing! They sound like interesting products and I love the packaging! It's a shame that using the night cream means you have to change your pillow cases a lot though! we share same opinion about packaging and products! They are really great and after using it my skin is so fresh and beautiful! Family dinner are always great, full of love and emotions, I believe that you will enjoy with parents. Hi! I love this brand. I used aquasource cream and it´s fantastic. I haven´t tried these products but they look great. I also used Aquasource and it is amazing cream! 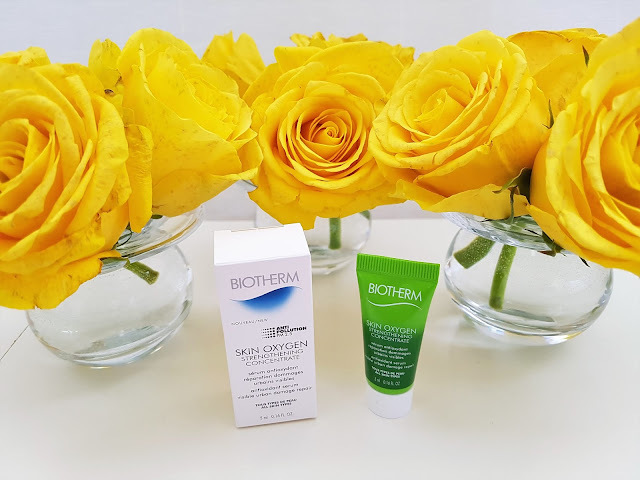 These products are really great, as well as many from Biotherm that I tried so far! Like you I'm also huge fan of Biotherm. You are completely right! 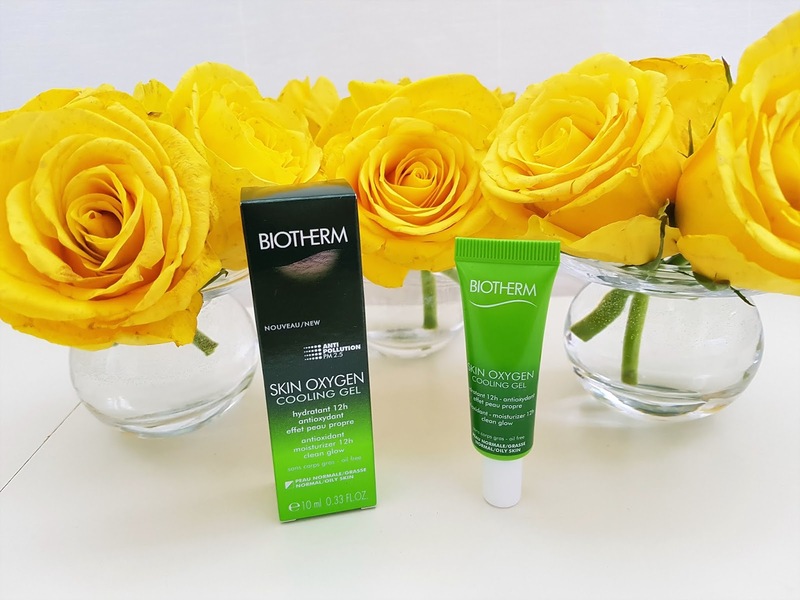 Products from Biotherm Skin Oxygen line are really great! This sounds like such a great range - bonus when something smells citrussy too. I'm also huge fan of citrus scent in products. This is really amazing range, because after I started using them my skin is so healthy, fresh and beautiful! We share same love for this brand because I'm also huge fan of it and all of products which I used so far ware great for my skin. I'm glad to hear that you find interesting information in this post! 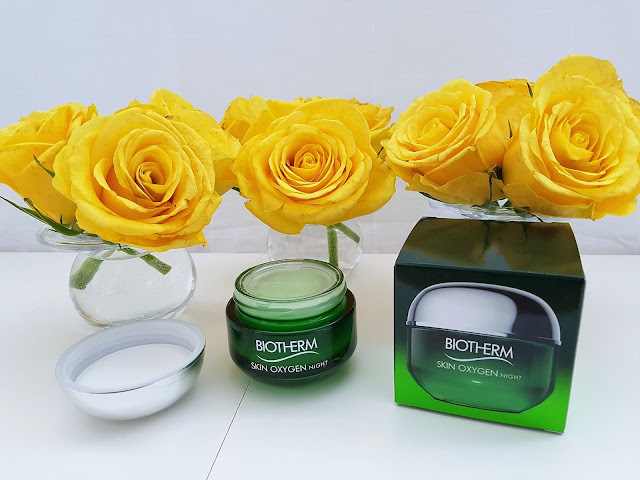 Biotherm is great brand with many amazing products. So far I used products from different lines and all of them was excellent for my skin. Need to try! Sounds amazing, dear! When you try these products I would like to hear your opinion about them. I really like this line because products are great on skin and after using them my skin is nourishing, fresh, healthy and beautiful. if you try this cream I would like to hear your opinion about it and do you like it as much as I do. I'm happy to hear that you love review, dear! It mean a lot to me! Ive been looking for some new skincare staples. these sound amazing! 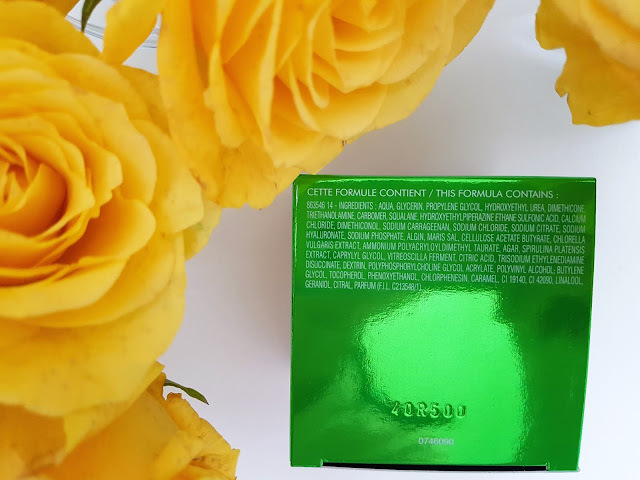 I'm happy to hear that you discovered new skincare range in this post! I really love all of products, especially night cream, cooling gel and Wander Mud mask. They are really amazing and if you try them I would like to hear your opinion about them. Great looking products. Love the green packaging. I'm also huge lover of Biotherm packaging and this one is very beautiful, as well as products inside! They are great! The concept of oxygen is really convincing and now I want to try out the products. Thanks for sharing! When you try this products I would like to hear your opinion about them and do you like them! Thank you so much for your kind and beautiful words! I'm happy to hear that you like yellow roses! I completely agree with everything what you wrote, citrus smell is amazing and crushed apricot stones are great for peeling and massage skin, because after treatment skin is so smooth and soft! When you try products from Skin oxygen range I would like to hear your opinion about them and do you like them as much as I do. The only products that I ever used with oxygen in it was a foundation and it made my skin too dewy but the products your presented today seem like they would work better because they are moisturizers. I also like that it is gel based which my skin seems to adapt better to. I have same experience with gel texture cream because they better and faster absorb in my skin and in many cases I prefer them. 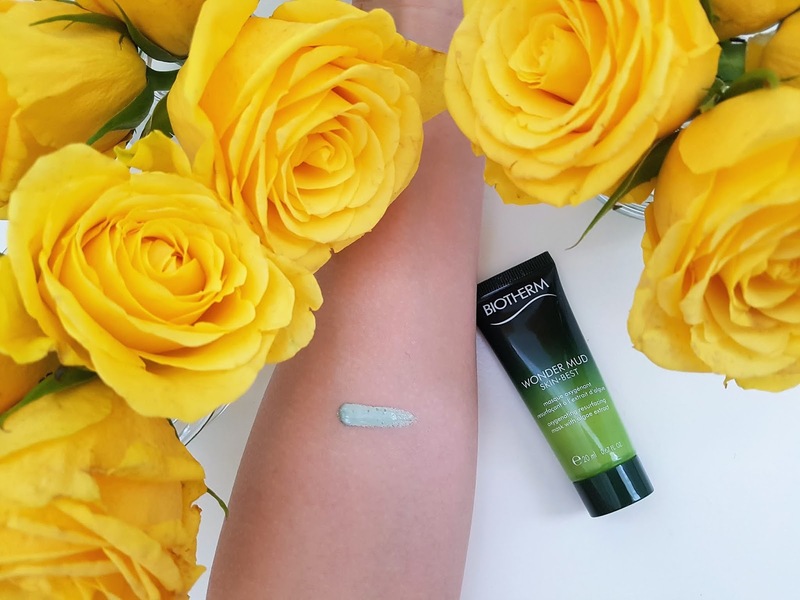 This cream is amazing and it left my skin fresh, nourished, smooth and healthy after I apply it. Foundation with oxygen seems very interesting. I need check it. The overnight care looks pretty good ! I love theses kinds of products which can work during the night. we love same type of products, because I'm huge fan of those who "working" during night, when I sleep. Skin Oxygen night is one of that product and in morning my skin looks so fresh, healthy, beautiful and nourished. This is such a great review, and it definitely has me wanting to try these products! Thanks for sharing! You are welcome, dear Valerie! Thank you so much for your beautiful words! They mean a lot to me. If you try this products I would like to hear your impressions about them! such a nice review and these products are wow products, I would try these. Thank you so much for your kind words, dear Corina! They mean a lot to me. These products are really amazing and if you try them I would like to hear your opinion about them. Thank you so much, dear Mina! 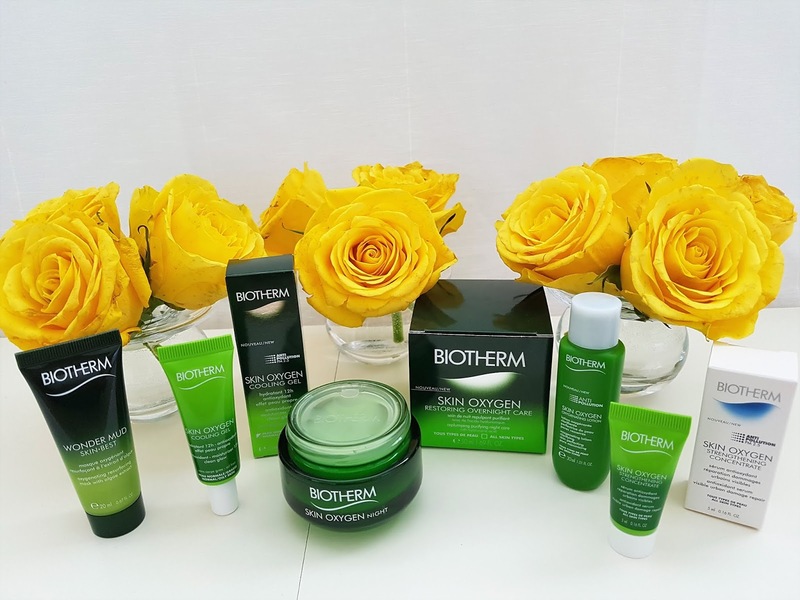 I completely agree with you that Biotherm has amazing products. I use many of them from different skin care range and every which I tried was great for my skin. I'm a skincare junkie - will definitely have to try this line! we are the same, because I'm also skincare junkie and I would like to try all of products which are on market. When you test this line I would like to hear your opinion about products, do you like them as mush as I do, and which one is your favorite! Very beautifully written, you can see that you put a lot of work in this post! You are welcome, dear Janine. Thank you so much for your kind and beautiful words! I'm happy to hear that you like this post! It mean a lot to me! Thank you so much, dear Lizzie! Your comment mean a lot to me and if you try this products I would like to hear your opinion about them! You are completely right, dear! You are completely right, dear Ale! These are very interesting and great products! I've never heard of this brand before but all of the products sound wonderful! I always appreciate the detail you put into all of your reviews. Thank you so much for your beautiful words! I'm happy to hear that you like post and find some interesting and useful information in it. Products from Skin Oxygen line are really amazing and my skin really love them. I've never tried anything from this collection, but love finding new skincare products. We are the same, because I'm also very curious and love find and try new skincare products. If you try some of products from this line I would like to hear which one you pick for yourself and your impressions about it. Thank you so much for your beautiful words, dear Samantha! I really appreciate it. Biotherm have amazing products and this line is great.